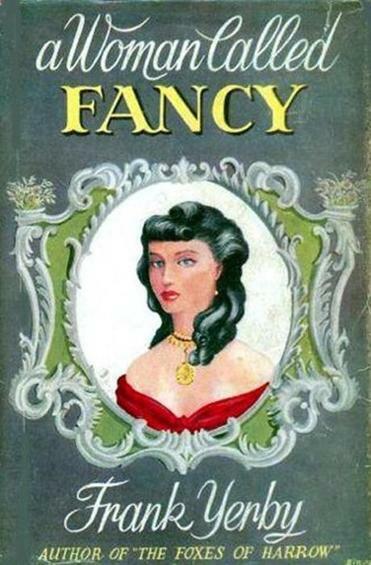 Frank Yerby’s “A Woman Called Fancy” was first published in 1951. I am black, and in my latest novel, all the main characters are white. My previous volumes portrayed black principals and almost all-white supporting casts. These books received admiration from publishing houses but few takers. Publishers told me that they could not see a route to commercial success for my books. I soon learned what that meant. There remains in publishing a very Jim Crow notion of what black authors should write. We are supposed to write about “The Black Experience.” What does that mean? We can write about slavery and the civil rights movement. We can write protest fiction of one sort or another. We can write victimized characters who take the world’s abuse and turn it self-destructively inward. And black writers know this. That’s why self-censorship enters the picture. We know what kind of books will gain mainstream acceptance, and we know what kinds of books will receive the polite publishing industry “no thank you” — regardless of merit. Partly due to the boundaries that mainstream publishing erects around black letters, I wrote a book with white principal characters. Then I discovered a writer who had done the same more than a half-century ago, and his example shows how little has changed when it comes to African-Americans and their reception by mainstream American publishers. I learned about Frank Yerby from Troy Johnson of the African-American Literature Book Club. I contacted Troy about marketing my new white-charactered book to his mainly black audience. Troy mentioned how rare it is for black writers to, as he put it, “write white.” He mentioned Yerby as one who had done so starting back in the 1940s — and whose reputation suffered for it. Nonetheless, Aronstein insists in stuffing him into a category the author himself minimized. It’s as if Aronstein knows that publishing only admits black writers through a particular back door, so that’s the one through which he tries to slip Yerby. Aronstein rests Yerby’s literary significance on his incorporation of race into his novels, as if that is the only standard by which a black author could or should be judged. Perhaps, like Wilkie Collins or Marion Zimmer Bradley, he produced a genre masterpiece that deserves in-print status through eternity. But Yerby is black, so that cannot be the basis for his reconsideration. He has to be made a credit to his race instead. Publishing seems desperate to keep ethnic writers neatly sealed in racial ziplock bags. The underlying idea is that writers write novels. Black writers write Black Novels, a decidedly separate and unequal subset. The hope is that more black writers will exploit our exhaustive intimacy with the American mainstream to cast our eye and voice upon that world — and so put the lie to the idea that our range, ambitions, or abilities should ever be limited. Leonce Gaiter’s newly released novel, “In the Company of Educated Men,” is a literary thriller with socio-economic and racial themes.